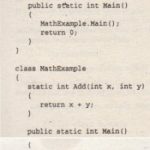 Placing a type in a namespace effectively gives that type a long name, consisting of the type’s namespace as a series of names separated with periods ( . ), terminating with the name of the class. 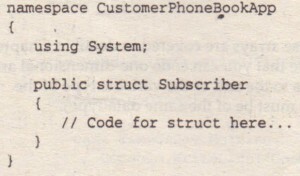 In the preceding example, the full name of the Subscriber struct is Customer Phone Book App. Subscriber. 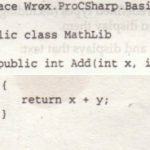 This allows distinct classes with the same short name to be used within the same program without ambiguity. This full name is often called the fully qualified name. Each namespace name is composed of the names of the namespaces it resides within, separated with periods, starting with the outermost namespace and ending with its own short name. 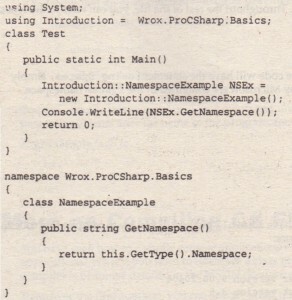 So the full name for Thes rods arp namespace is Wrox. 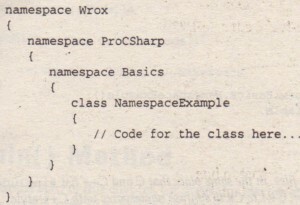 ProCSharp, and the full name of NamespaceExample class is Wrox.ProCSharp.Basics.NamespaceExample. Note that you are not permitted to declare a multipart namespace nested within another namespace. Namespaces are not related to assemblies. It is perfectly acceptable to have different namespaces in the same assembly or to define types in the same namespace in different assemblies. 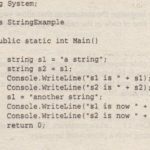 As remarked earlier, virtually all C# source code will have the statement using System; simply because so many useful classes supplied by Microsoft are contained in the System namespace. 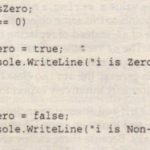 Because using statements occur at the top of C# files, in the same place that C and C++ list #include statements, it’s easy for programmers moving from C++ to C# to confuse namespaces with C++-style heaper files. Don’t make this mistake. 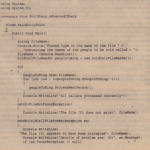 The using statement does no physical linking between files, and C# has no equivalent to C++ header files. Your organization will probably want to spend some time developing a namespace schema so that its developers can quickly locate functionality that they need and so that the names of the organization’s homegrown classes won’t conflict with those in off-the-shelf class libraries. 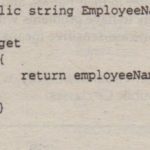 Guidelines on establishing your own namespace scheme along with other naming recommendations are discussed later in this chapter .